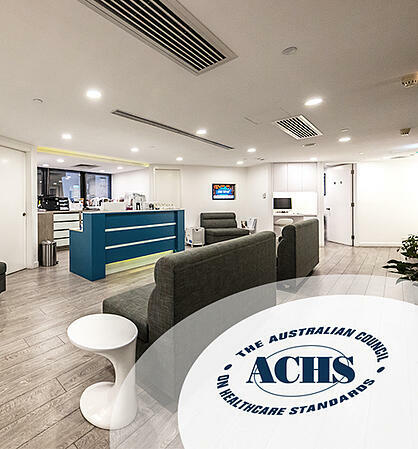 OT&P has obtained Australian Council for Healthcare Standards (ACHS) accreditation in March 2010. ACHS accreditation is endorsed by the International Society for Quality in Health Care (ISQua), the body that oversees healthcare standards worldwide, including the USA and UK. According to ISQua, accreditation is public recognition of achievement by a healthcare organisation, of requirements of national healthcare standards and is awarded based on achievement of quality standards and the independent external survey by peers of an organisation’s level of performance in relation to the standards. Basic medical check-up for patients under 30. This covers key health indicators, coronary profile, and general infections. Advanced medical check-up for patients over 30. It looks for signs of underlying issues and assesses your sensitivity to heart disease. Executive medical check-up for patients over 40. This looks into risk factors, your vital organs, and nutritional deficiencies. Medical check-up for patients over 40. This package covers most of the tests in the Ultra package but is less comprehensive.